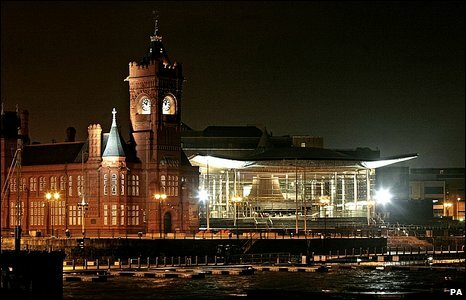 More than half of people in Wales would vote for the Welsh assembly to have full law-making powers, according to an exclusive BBC Wales/ICM poll. A total of 52% said they would vote for full law-making powers in a referendum, 39% said they would vote against. It is the first time a poll has shown majority support for full powers. But it does not indicate the shift of opinion in favour of further devolution is likely to be enough to tempt political leaders to call a referendum. HOW WOULD YOU VOTE IN A REFERENDUM? Some 9% did not know how they would vote. In an equivalent poll for the BBC a year ago, 49% of people were in favour of full assembly law-making powers, with 42% against and 9% undecided. In 2007, the result was 47% for full law-making powers and 44% against. In this latest survey, when people were asked how Wales should be governed, the highest proportion, 34%, said they would like to see a full law-making Welsh parliament with taxation powers, but remaining part of the UK. Some 10% said they would like a full law-making parliament within the UK with no taxation powers - the only option in a referendum under current legislation. The level of support for an independent Wales outside the UK but within the EU was 8%, with 5% wanting an independent Wales outside both the UK and the EU. The status quo was favoured by 21%, who said they would like the assembly to remain with its current limited law making powers. A total of 19% wanted the institution abolished. 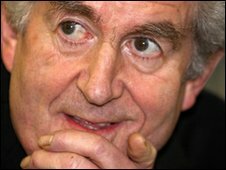 The Labour-Plaid Cymru assembly government has set up a convention headed by former diplomat Sir Emyr Jones Parry to gauge the level of public support for further powers. It is due to report to ministers by December. The coalition administration is committed to holding a referendum by 2011, but would only call one if it was confident of achieving a 'Yes' vote. But the poll shows that less than half the population of Wales actually know the assembly government is run by Labour and Plaid. When asked who forms the current assembly government, 48% correctly identified the coalition partnership. There is good news for First Minister Rhodri Morgan, who is due to stand down in September this year on his 70th birthday. When people were asked whether he has done a good or bad job as first minister, 65% said good, with 21% saying he had done a bad job and and 14% cent did not know. When the level of government which currently has most influence over Wales is considered, the figures in this poll are similar to last year. WHO HAS MOST INFLUENCE ON WALES? Around 40% of people believe the assembly government has the most influence over Wales, with 29% thinking the UK Government has most influence, 15% said local councils and 8% said the European Union. Although there has been a small fall in the numbers seeing the UK Government as having most influence, the figures remain fairly static. When people were asked which level of government should have the most influence over Wales, again, the figures were similar to last year - 61% said the assembly government and 21% the UK Government. ICM Research conducted a total of 1,000 interviews with adults in Wales aged 18+ by telephone on 20-24th February 2009. Interviews were conducted across Wales and the results have been weighted to the profile of all adults in Wales. ICM is a member of the British Polling Council and abides by its rules.